Last September 30, community activists and local officials from around the country came to Washington, DC to protest HUD's pro-Wall Street policies. Two years ago, community organizing groups around the country, with the key support of Senator Elizabeth Warren (D-MA), began pressuring HUD Secretary Julian Castro to stop selling delinquent mortgages to Wall Street investors and help nonprofit organizations to purchase the loans, help homeowners keep their homes, and expand the supply of affordable housing. On Thursday, they won. Castro announced a set of policy changes to its Distressed Asset Stabilization Program (DASP) that activists had labeled a "Wall Street giveaway." Last year, for example, 98% of the mortgages HUD sold went to Wall Street firms, at discounts averaging nearly 50%. Castro pledged to fix the program to triple the sales of delinquent mortgages to nonprofit community groups with experience in stabilizing neighborhoods and helping homeowners and to put more restrictions on foreclosures. The policy fix was needed because some of the same Wall Street firms that precipitated the housing crash have been buying up distressed housing assets in bulk, including delinquent mortgages and vacant houses that are a product of the crash. Both Sen. Elizabeth Warren and HUD Secretary Julian Castro are frequently mentioned a potential VP running mates with Hillary Clinton. The campaign's victory is the result of a perfect political storm. The organizers mounted a savvy grassroots organizing campaign that built on the momentum of the Occupy Wall Street movement that began in 2011. In the current political season, no politician, especially a Democrat, wants to be too closely identified with Wall Street's financial industry, which most Americans still blame for the 2008 economic tsunami from which the country still hasn't recovered. During this presidential season, both Hillary Clinton and Bernie Sanders vied to be the champion of Wall Street reform. 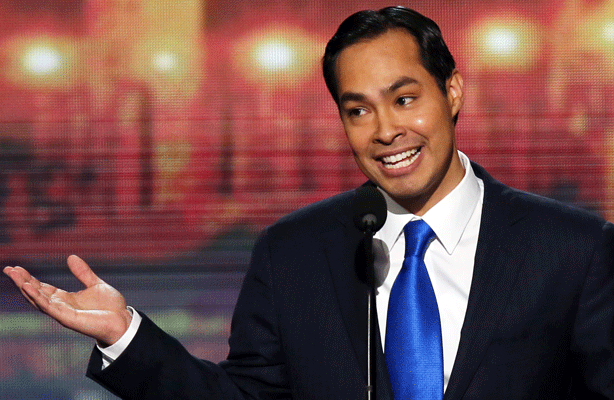 HUD Secretary Castro, a former San Antonio mayor, has been auditioning for the role of Clinton's vice presidential running mate, but many pundits view him as too conservative and cautious -- and too pro-business -- to help Clinton galvanize both Latino voters and Bernie Sanders' supporters in the contest with Donald Trump. With his announcement this week, Castro can claim to be on the side of homeowners and communities against Wall Street speculators. HUD's DASP program, started by the Obama administration in 2012, became a part of the larger problem by auctioning off its distressed mortgages to the highest bidder, which allowed Wall Street firms to take ownership and accelerate foreclosures. 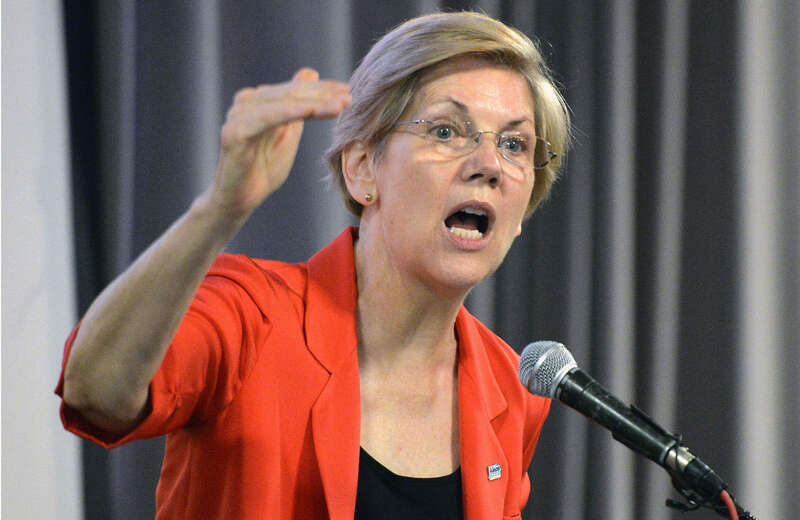 "This whole process shows just how tilted the playing field is for the big banks and hedge funds," said Warren, who has been the Senate's most vocal critic of Wall Street abuses, last year. "Many of these banks and funds were responsible for fueling the housing bubble in the first place -- leading to the crash that hit these families like a punch to the gut. Now these same banks and funds are turning around and scooping up these loans at bargain-basement rates so they can profit from them a second time." Help existing homeowners facing foreclosure remain in their homes by modifying their mortgages to reflect current market values -- a strategy called "principal reduction." Until now, both HUD and Fannie Mae, under pressure from the banking industry, had resisted this approach. Now, even private equity firms and hedge funds will have to use that strategy in reworking troubled mortgages. A commitment to work with local governments and non-profits to target sales to those who will help homeowners keep their houses and expand the supply of affordable housing. "These recent HUD changes move in the direction of common sense policy," said Maurice Weeks of the Center for Popular Democracy, one of the groups that coordinated the nationwide grassroots campaign. "We shouldn't be handing over our neighborhoods at bargain basement prices to Wall Street." "HUD's bulk mortgage sale program has been fueling the speculator buy-up of our neighborhoods," observed San Francisco Supervisor John Avalas, one of many local elected officials who supported the campaign. "Finally, HUD is making changes to this mortgage sales program that better prioritize what our communities need -- saving more homes from foreclosure and creating more affordable housing. It's about time!" Sarah Edelman, director of housing policy for the Center for American Progress and coauthor of a new report on the problem, told the New York Times that the policy changes "significant improvements" in the loan sale program. "The policies announced today are a promising step toward more responsible loan auctions," she said. Millions of homeowners are still delinquent on the mortgage payments, many through no fault of their own, but because of predatory and reckless lending practices as well as the sluggish recovery of the economy in terms of restoring the incomes of working families. As a result, federal officials and community activists expect there to be many more sales of troubled mortgages that were guaranteed by the federal government. The policy changes are a culmination of several years of research and activism by grassroots groups on the front lines of the nation's housing and banking crisis. 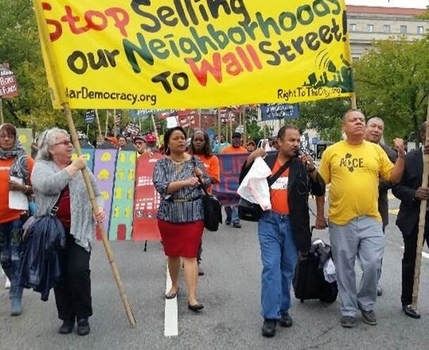 Several years ago, different community groups began noticing the growing presence of Wall Street speculators in their neighborhoods, one of the aftershocks of the epidemic of foreclosures. Several local groups examined records, interviewed tenants, and issued reports documenting that in areas where Wall Street investors own a significant number of these single-family homes -- including Atlanta, Las Vegas, Phoenix, Miami, Tampa, Orlando, Charlotte, Dallas, Chicago, Detroit, Denver, and Los Angeles and nearby Riverside -- their practices have harmed tenants and undermined long-term neighborhood stability. The activists discovered that HUD, Fannie Mae, and Freddie Mac -- which own or guarantee the distressed mortgages on many single-family homes -- were part of the problem. Over the past few years, they've auctioned off about 150,000 non-performing loans that they want to get off their books. Of these loans, fewer than two percent have gone to nonprofit buyers. The rest (98 percent) have gone to Wall Street companies. As of last fall, five Wall Street firms -- Lone Star, Blackstone Group, Angelo, Gordon & Co., Selene Residential Partners, and the Royal Bank of Scotland -- accounted for 64 percent of all the public loan sales. Last year, Goldman Sachs popped up on the purchaser list for the first time, buying loans from Freddie Mac. The community organizers and their researchers also exposed a double standard. Although Fannie Mae and Freddie Mac have been unwilling to offer principal reduction to struggling homeowners, and HUD has been unwilling to require principal reduction as part of its program, these agencies often offer steep discounts when they sell these mortgages to Wall Street speculators, who typically foreclose on the homeowners, adding to their inventory of homes scooped up in private foreclosure sales. In unloading these mortgages, the federal agencies often ignored the housing needs of local communities. The grassroots groups enlisted the help of two national umbrella organizations -- the Center for Popular Democracy (a network of community organizing groups) and Local Progress (a network of progressive local elected officials) -- as well as Senator Elizabeth Warren, who championed the cause in Congress. These used a variety of tactics -- protest actions, internet petitions, and muckraking research -- to generate media attention and put pressure on the Obama administration. These groups -- many of which had been working on banking issues for over a decade -- launched their national campaign in September 2014. They were relentless in pressuring HUD, Fannie Mae and Freddie Mac to prioritize non-profits over speculators in their sales of troubled mortgages. In particular, they demanded that these agencies prioritize sales to non-profit Community Development Finance Institutions (CDFIs) that have the capacity to purchase large inventories of underwater mortgages and distressed properties -- including vacant houses that owners lost through foreclosure and occupied homes where underwater borrowers are on the brink of foreclosure -- and stabilize them as affordable housing. The CDFIs were being crowded out by hedge funds working hand in hand with HUD, Fannie Mae, and Freddie Mac. At the start of the campaign, the activists released a report, Vulture Capital Hits Home: How HUD is Helping Wall Street and Hurting Our Communities, that explained why HUD's policy of favoring Wall Street investors was exacerbating the nation's housing crisis. A week before Christmas in 2014, at rallies outside local HUD offices, community groups in Los Angeles, San Francisco and Boston presented HUD with their "Grinch of the Year" award for refusing to fix the DASP program. "By auctioning pools of delinquent loans to the highest bidders -- vulture capitalists -- HUD is driving unnecessary foreclosures and contributing to the rise of 'Wall Street Landlords,'" said Gisele Mata, an organizer with the Alliance of Californians for Community Empowerment, a statewide organizing group that played a key role in the national campaign, at the press conference. In June 2015, the campaign released another report, Do Hedge Funds Make Good Neighbors? How Fannie Mae, Freddie Mac and HUD are Selling Off Our Neighborhoods to Wall Street, at a protest rally in front of the Santa Monica office of the Blackstone Group, the private equity giant (with over $300 billion in assets under management), which had become the largest landlord of single-family rentals in the country by gobbling up distressed mortgages - including many sold by HUD -- at bargain-basement prices. Since 2012, the report found, federal agencies had sold over 120,000 delinquent mortgages to Wall Street hedge funds and private equities firms. Bayview Acquisitions, largely owned by Blackstone, has bought 24,000 of these mortgages. The report unearthed an array of disturbing business practices, including failure to make repairs and the harassment and illegal eviction of occupants. An investigation by the New York Times published last week confirmed earlier findings of abusive practices. The Times revealed, for example, that Lone Star had pushed thousands of borrowers into foreclosure and failed to negotiate with homeowners to modify their mortgages so they could remain in their homes. Through Local Progress and 17 progressive mayors from across the county,, the campaign persuaded the U.S. Conference of Mayors to pass resolution asking HUD to change its policy. Last September, community activists and local elected officials from around the country converged in Washington, D.C. to bring the cause directly to federal officials. After a rally at which Senator Warren and Congressman Michael Capuano (D-Mass) demanded that HUD curb its mortgage sales to Wall Street investors, the activists met with senior officials at HUD and the Federal Housing Finance Agency, which oversees the mortgage giants Fannie Mae and Freddie Mac. A few weeks later, the New York Times published an editorial, "Foreclosure Abuses, Revisited," calling on HUD to suspend its sales of distressed mortgages until federal agencies adopt significant reforms. By March of this year, the campaign had built enough momentum to get 45 members of Congress to send a letter to HUD and FHFA in support of the campaign's demands. In April, Rep. Raul Grijalva (D-Arizona) wrote to Castro - by then on many lists of potential vice presidential candidates - criticizing HUD for worsening the housing crisis with its favorable treatment of Wall Street investors and urging him to "end to the days of casino-level gambling with other peoples' livelihoods." 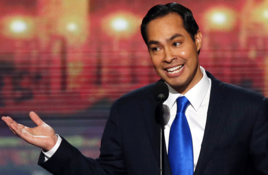 That same month, the campaign sent Castro a petition with over 100,000 signatures, demanding that he change HUD's policies on disposing troubled mortgages. Along with the changing political climate and Castro's ambitions, the community organizing groups' persistence paid off. With more homes in the hands of non-profits instead of Wall Street speculators, communities will gain further control over their neighborhoods and be less at the mercy of Wall Street. Community groups now plan to work city by city, and state by state, to make sure that HUD sells delinquent mortgage pools to mission-driven purchasers, and to continue the fight for housing justice and community control to strengthen and protect neighborhoods across the country.